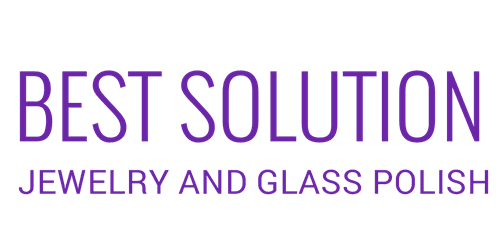 "We sell a lot of jewelry, and we use best solution’s products to clean just about everything." "The best jewelry cleaner on the market"
"Really cleans and is gentle enough for pearls, I bought a bottle of this stuff at the gem show last year. I love it and the spray bottle was running out. I took a chance and found it online. So happy I don't have to wait till February to get more." "This is the best jewelry cleaner I have used hands down. I bought my first bottle 5 years ago and have used it ever since." "This product is the best jewelry cleaner i have ever used. I highly recommend it!!" "Easy and effective jewelry cleaner." "I used this on my 14K white gold emerald and diamond ring, The diamonds and the emerald shined like the day I purchased the ring. Great product so far." "Good price. Really fast shipping!" "Best Solution cleaner is, without question, the "best" product available to clean ALL types of jewelry. I will not use any other product." "Best cleaner on the market." "I have used this product for my Harley windshield for years. Removed bugs without damaging windshield"
"Cleans jewelry like a charm!!!" It arrived today and i love the way it makes my wedding band and engagement ring shine. This product is also very good on costume jewelry. I would recommend this product to anyone." "Got it for my wifes jewelry. Cleans and shines terrific." "OMG. I love this stuff. I have never used anything this good. I bought some at a trade show and love it. It may be a bit pricey compared to windex, but this is the bomb. When you clean your glass, it is like no clean you have ever seen."